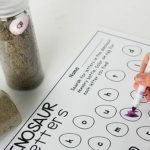 Raise your hand if you like super easy alphabet activities that can be prepared in just a couple of minutes with supplies you already have on hand. I know I sure do! 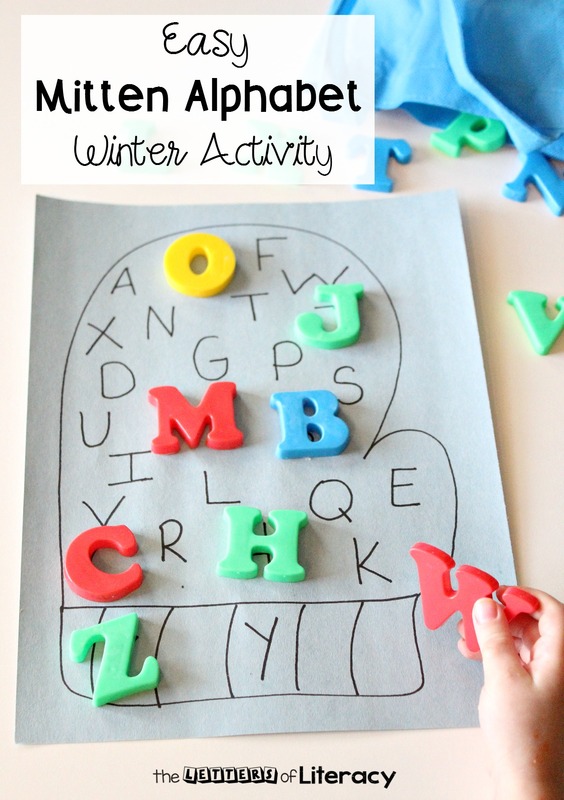 I just know that you are going to like this winter alphabet match mitten activity because not only is it effective practice for naming letters and sounds, but it’s also something you can pull together in just a few minutes! 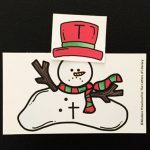 It is also a fun extension for a literacy center after reading the book, The Mitten by Jan Brett. 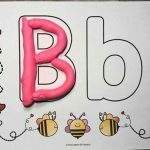 This alphabet activity is suitable for grades pre-k through first grade. 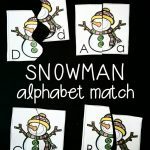 It’s a simple one-to-one matching game that can be placed in a literacy center or even played in pairs with a partner! Let’s get started with some frugal supplies. Just grab a black marker and quickly sketch a large mitten onto a piece of construction paper. 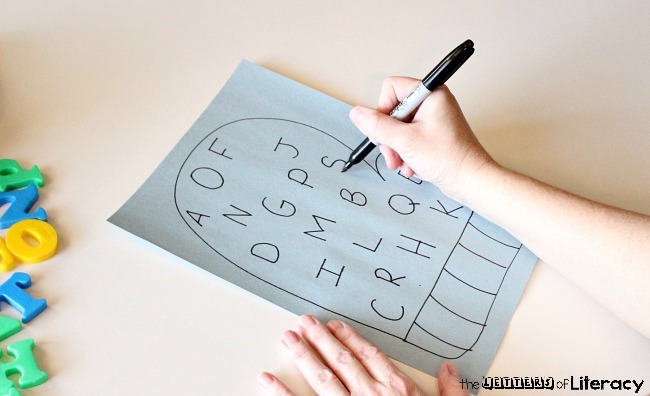 You will then use the marker to also write the letters of the alphabet all over the inside of the mitten. 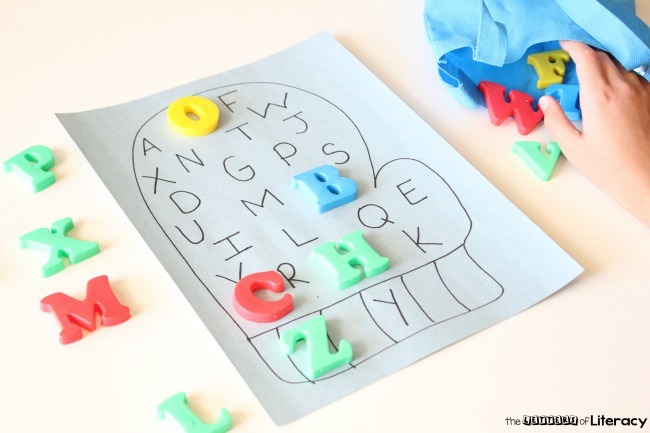 Remember to scatter the letters around to make it more of a challenge. 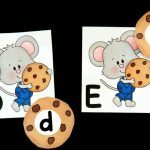 My favorite way to engage children with a letter matching activity is to place the letters of the alphabet inside of a grab bag or basket. 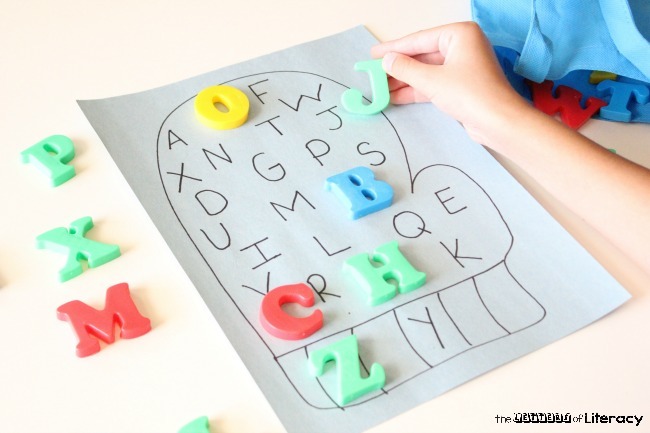 Children love the suspense of not knowing what letter they are grabbing. Students will then find the matching letter on the mitten. I like to have my children say the name of the letter out loud. 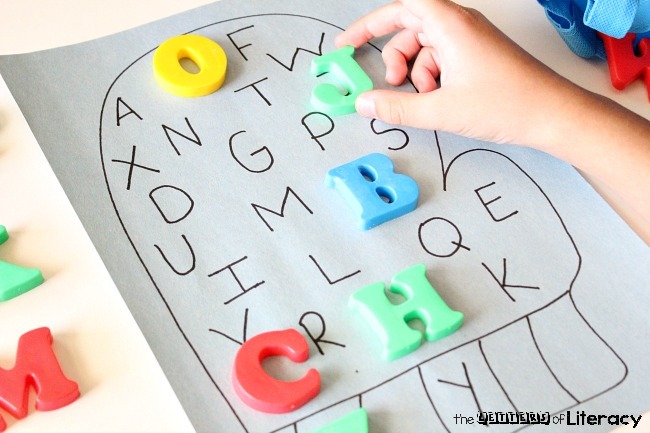 For older children, I like to challenge them by asking that they say the letter name, sound, and a word that begins with that letter. Students will then use the ABC letter they grabbed from the bag to “cover up” the letter on the mitten. 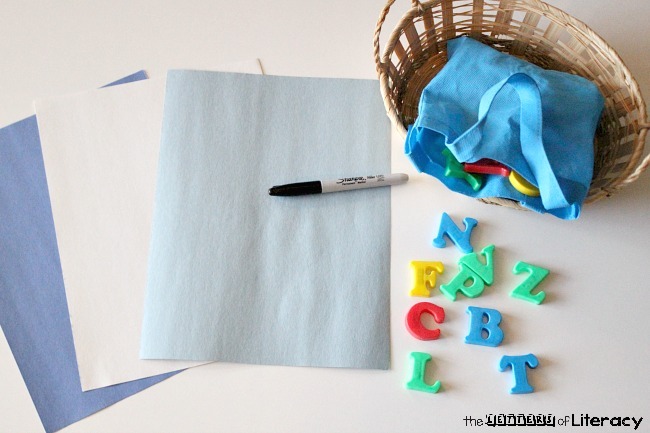 Tip: Use cotton balls to cover up the letters on the mitten. This will make it look like snowballs and your students will think that is really neat! 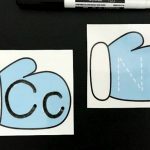 You could have this connect with the story of The Mitten even more by naming mixing in pictures of the animals in the story in the grab bag, and as they pull them out, they cover up their beginning sound! Teaching reading can be so much fun when we find creative, engaging literacy activities to help us along the way! 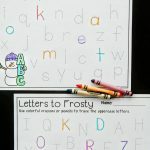 I do hope that this alphabet match mitten activity is a fun addition to your literacy center like it was ours! 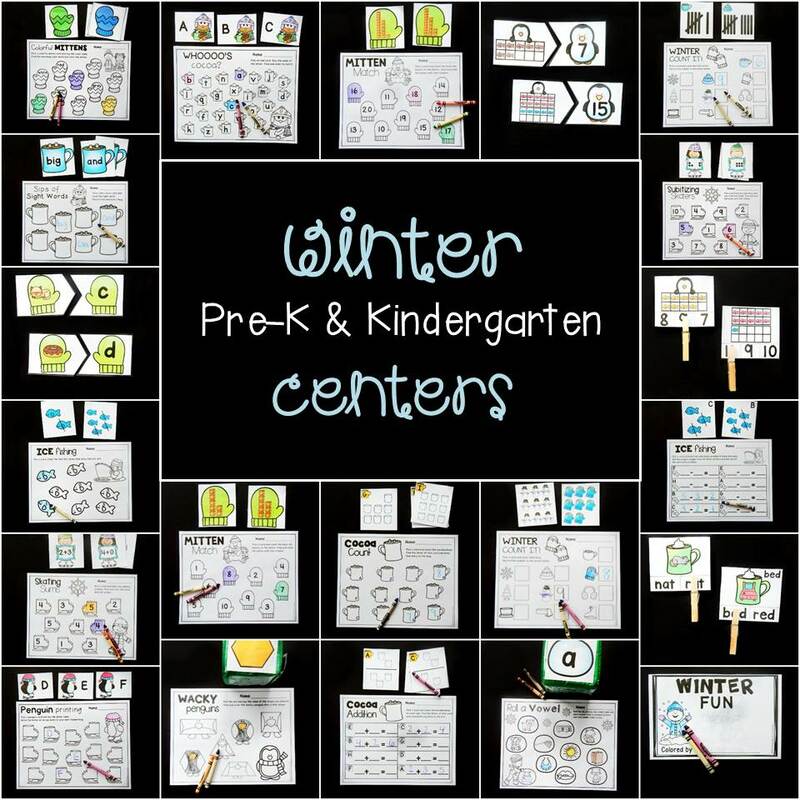 Looking for more ideas for winter centers? 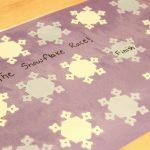 Our winter pack of print and play centers is filled with TONS of learning fun that your kids will love this season!